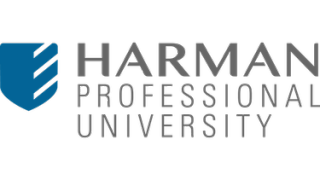 Harman Professional Solutions today has launched its new Harman Professional University. Designed to be a cohesive and relevant training experience for customers, partners, and industry professionals, Harman Professional University provides a curriculum that is intended to be a roadmap to success for all participants. Certifications are valid for three years from the time of achievement and can be renewed through continuing education. With a comprehensive range of online and instructor-led courses, students gain valuable design, commissioning, and programing training across a variety of industry disciplines, including audio, video, control, and networked AV. Additionally, with the new Harman Professional University, management has redefined what it means to be “Harman Certified,” bringing a greater depth of instruction to certifications. Because employee skillsets and expectations vary greatly, Harman Professional University administrators created a certification offering that reflects the different needs of the marketplace. The new Harman Professional University Certification program addresses this need by offering multiple certification tiers to better convey an industry professional’s proficiency with Harman solutions. Certification holders who passed legacy AMX courses will be offered a conversion path to the Harman Professional University program.